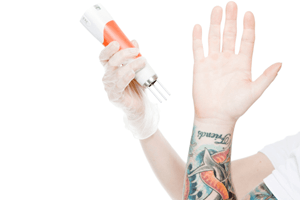 BlogHome » Are Your Tattoos Affecting Your First Impressions In The Workplace? While individuals sporting tattoos tens of years ago were once perceived as reckless, today tattoos are merely a part of our culture. 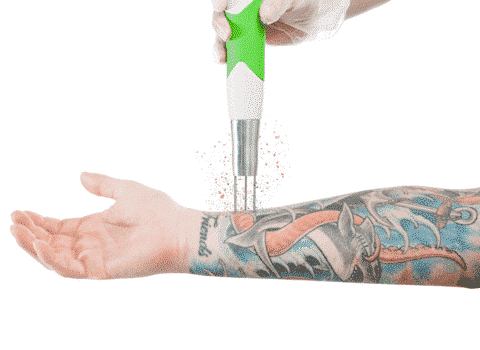 Although perceptions have changed over the years, certain industries, company culture and clientele play a major part in the acceptance of visible tattoos within a place of employment. 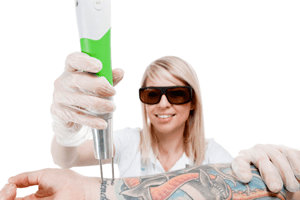 At Think Again Laser Clinic you will find that each of our laser specialists have tattoos themselves and strongly support equal opportunity against discrimination of those individuals with visible tattoos in the workplace. We are however aware that not all areas in society are as accepting of tattoos, the artistry and stories behind them. For this reason, prejudice toward people with tattoos (especially those visible and unable to be covered such as hands, neck and face) still exists. In occupations/industries such as Customer Service, Real Estate, The Armed Forces, Government and more recently the Police Force, visible tattoos may affect your ability to be both employed and promoted. Any form of body art or modification that is on the face, scalp, ears, neck or hands of an employee or police recruit is prohibited under this Policy. Regard will be given to cultural and/or religious issues where appropriate in accordance with AntiDiscrimination legislation. Unfortunately discrimination against visible tattoos by an employer is still prevalent throughout the workforce in Australia and it is legal. Employers do actually have the right to create a ‘dress code policy’ for their business, and if not adhered too dismissal is at their discretion. For employers, this generally isn’t about creative expression or individuality, rather upholding a general image for their business. Unfortunately many industries have these policies in place ‘unofficially’ and may instead find a more politically correct reason for you to be unsuccessful in your application for employment or promotion. 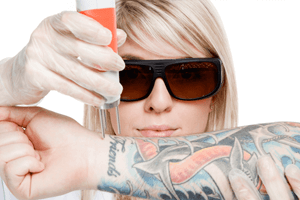 It is important to know about the factors that affect tattoo removal. After talking with one of Sydney’s top recruitment agencies, it is clear that prior to an initial interview, an expectation is set. “If our client is a conservative company that wants a candidate to come in and deal with customers and their image that they want to portray is clean cut, “presentable” (to their definition) and we have two candidates with exactly the same qualifications, one with exposed tattoos and one without, the client will go with the person that fits their companies culture 10/10 times. On the flip side, if a conservative candidate goes for a role with a creative company where the employees all have expressive body art, then it just comes down to culture. That’s what companies want. They want to develop and maintain a culture and an image.” Says Mitch D, Recruitment Officer. Employers do have the right to request tattoos to be covered and although they personally may not have an issue with them they simply do not want that image to reflect on their business. Chances are if you are in a non-creative white-collar industry, in a management role or in a position that directly deals with clients, keeping tattoos covered may be the expectation. As stated earlier a first impression takes only a blink of an eye to be formed and for many of us we will never know just how much our tattoos have played a part in missing that promotion or landing that dream job. While not all industries and employers will be biased against tattoos, for those that are the location of the tattoo, the design of the ink, the workplace, current employees and customers whom deal with the company will certainly determine your place in the workforce. Many of our clients have come to us not because they no longer like their tattoos, but because they realise that their tattoos are affecting their first impressions, especially in employment. 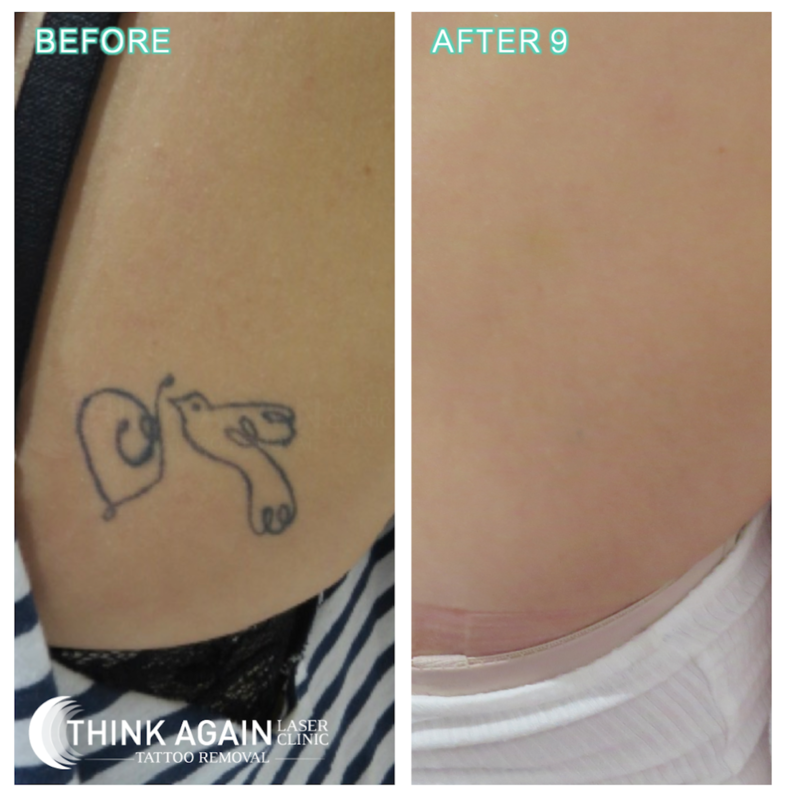 At Think Again Laser clinic, we are Sydney’s tattoo removal specialists. If you feel that your tattoos are holding you back, the only proven and affective way to remove them is by laser tattoo removal. Feel free to contact the clinic and book an obligation free consultation where we can discuss your tattoo and a timeframe for removal. 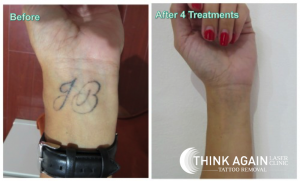 Click here to know more in detail about “Should I Get a Cover Up or Laser Tattoo Removal”?